Welcome home! This great 4 bed home is on a huge corner lot w/tons of trees for privacy! 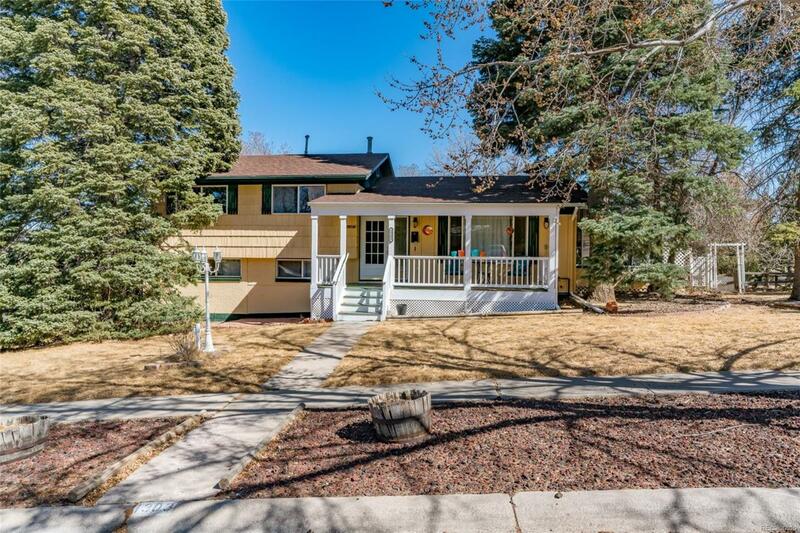 Across this comfy covered front porch youll find yourself in this wonderful home w/beautiful wood floors, updated cabinets and butcher block counter tops in kitchen, fully finished lower level, private bath off master and a sun room! Other features include vinyl windows, auto front sprinkler, large rear deck, 2 car attached garage, alley access with RV parking. Established neighborhood in convenient location!